I always love cold weather, if only I could extend until March but of course, I can’t stop the season and I have to face the fact that summer is already here. Good thing for Filipinos, we can visit Baguio and Tagaytay if we are longing for cold weather. When I was still in college, Baguio is our go-to place during summer but when I got married and moved to South, Tagaytay is our new summer destination. Tagaytay is less than an hour travel from our place so it is not surprising that we always visit this place. It is known as a second summer capital of the Philippines. There’s so much to do in Tagaytay so we never get tired of this place. 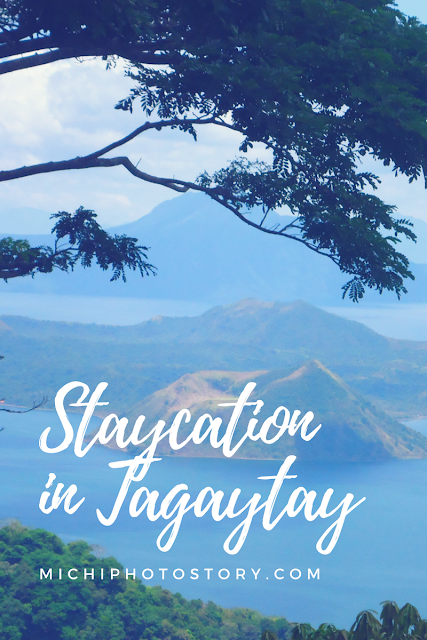 Even it is less than an hour away from home; we’ve tried to have a staycation in Tagaytay. If you are looking for hotel accommodation in Tagaytay, you can check the following hotels and resorts that we have tried. Click the name of the hotel if you want to read more. We’ve tried their branch in Manila because that was our accommodation when we got married in Intramuros so we decided to check their new hotel in Tagaytay. Hotel Kimberly Tagaytay is the first hotel that we have tried in Tagaytay. My son was only 2 months old at that time so I was looking for a place where we could celebrate New Year away from the noise and smoke of fireworks. We had no regrets in choosing Hotel Kimberly Tagaytay because we enjoyed our New Year celebration there. We liked the facilities, amenities, and service of this hotel. I hope we could revisit this place again. Taal Vista Hotel is the popular hotel in Tagaytay, you won’t miss this hotel because it is along the road. The nice thing about this hotel is they have a good view of Taal Volcano and very near in Sky Ranch. The facilities, amenities, and food are also good. Pina Colina Resort is the cheapest accommodation that we’ve tried so far in Tagaytay. The room was big enough for the three of us. This resort is good for team building or family event. The place is more on relaxing because there are only two activities that my son can enjoy which is the playground and small pool. After few years, we celebrated New Year again in Tagaytay. We attended a year-end wedding in Caleruega and Bali Village Hotel is the wedding reception area so we reserved a room in the same hotel. The place looks relaxing and it has a swimming pool too. The hotel is near the Taal Vista Hotel and Sky Ranch. The recent place that we’ve tried is the Nurture Wellness Village. That is where we experienced our first ever glamping or glamorous glamping. The spa resort has different rooms too if you are not comfortable sleeping in the tent, you can book a room. My wish to stay in Crosswinds was granted last June. My husband celebrated his birthday in this resort. The place is indeed beautiful and perfect getaway if you want to escape from busy life. It is far away from the main road and nestled in the hillside of Tagaytay. The rooms have a kitchen so you can bring and cook your own food, no corkage fee. There are other places that we’ve visited in Tagaytay but haven’t booked an overnight stay yet such as T-House Tagaytay and Sonya’s Garden. Yes, they really have amenities and activities that kids will enjoy. I also love cold weather. I I could kip summer, I will. Anyway, my family love to visit Tagaytay from time to time just to feel the cold or eat on some the resto there. This post is very helpful to those who are looking for place stay in Tagaytay. How I wish we could skip the summer, lol. Ok sana summer kung di lang ganun kainit na due to climate change. Lovely selection of the type of accomodation at Tagaytay. I too love the cold weather. Unfortunately it would mean flying out of Singapore for us. I wish we could have a staycation in Tagaytay some time soon. Our family do not travel a lot, but I hope we could do more of that for family bonding. Thanks for the hotel suggestions. We are only a 30-min drive away from Tagaytay but we haven't stayed longer than half a day. I want to have a staycation but I always procrastinate about reserving. This is a good list though - the pictures are enticing. We have been planning to go to Tagaytay for a short staycation kaya lang layo naman kasi plus the traffic going there. Hopefully when we have a bigger car na lang siguro, hehe... Lucky you get to enjoy Tagaytay often. The last three you featured were new to my ears. I think it is high time for me to explore them aside from the "usual suspects." Tagaytay is one of our favorite destinations. I'm hoping to stay at Kimberly Hotel next time.